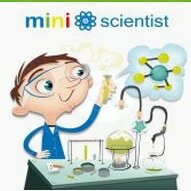 Today was a very busy day for all the participants of the Mini-Scientist. Groups from third to sixth class all presented their projects to onlooking students and judges from Intel. The children have been busy working on their projects over the last couple of weeks. There was a mixture of excitement and nerves in the hall as the judges gradually made their way around the hall to all the students. They had a very difficult job indeed to choose the top five!! Judges from Intel then presented the top five winners with prizes in the afternoon. Nadine from Mr. O’Donnell sixth class received first prize for her project on cells. Claire and Katie from Mr. Mahons class won prizes for their project on Plastic and Space. Michelle from Ms. Hickeys 6th class received a prize for her project on Saving the Bees. Ross, Tadhg, Conor and Darragh from Ms Gallaghers were awarded a prize for their project on Static Electricity. Well done to all the winners and the participants! Thanks to Ms. Hickey & Mr. Daly for organising the event and the representatives from Intel for judging the competition. Take a look at all the interesting projects that were on display.